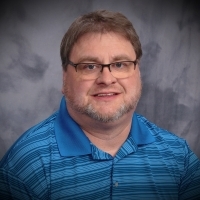 Troy Bruns, MA, LPC, CSAC, CH, CS-IT has his Masters Degree in Counseling from the University of Iowa and further graduate credits in psychology from Walden University. He is an Internationally Certified Alcohol and Drug Counselor and a Licensed Professional Counselor in Wisconsin. He is also an instructor at Lakeland College in the graduate program for community counselors, and is an AODA instructor at Chippewa Valley Technical College. He has extensive experience counseling individuals, couples, and families using cognitive behavioral therapy, narrative, and solution-focused therapy. My style and methods involve being there in the moment in the most sensitive way for a person who is sharing and experiencing their concerns. I am open to what people have tried so far and encourage growth while drawing from their natural resiliency and strengths. Each session is an opportunity to find support, enhance awareness, and explore potential. "He is very easy to talk to, and a very intelligent person. He naturally shows genuine concern, which I needed, and empathy, and he is just a kind guy...a good-hearted person." "Thanks Troy! I could not have found my way without your help!" "I found someone who I could trust and in a way you seemed like a valued friend I could turn to!" "Intelligent guy. He knows what he is doing. He knows his stuff." Would you like to write a review for Troy Bruns? We'd appreciate if you can spend a couple of minutes to write a short review for Troy Bruns (MA, LPC, CSAC/ICADC). This review would be shared with Troy Bruns. It may also be posted in our website or in Troy Bruns's profile but it would be anonymous and your identity would be kept completely confidential.